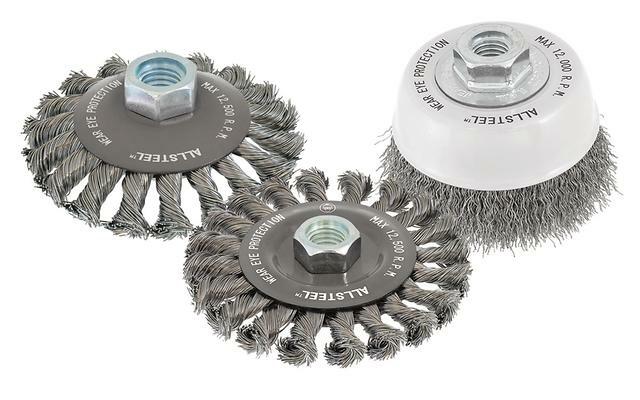 ALLSTEEL™ wire brushes are designed to provide exceptional value and deliver consistent and reliable surface cleaning performance on a variety of metals. Through a strict quality controlled manufacturing process, ALLSTEEL™ brushes are perfectly balanced and feature an identical wire count to ensure vibration-free brushing. Available in a variety of shapes and sizes.